I have a lonely mango in my fridge who was about to be spoilt and I remembered that my grandma loved cooking sliced apples with brown sugar, a cinammon stick and a clove for dessert all the time when I was a kid. So I added my mango into the show and some ginger and Sherry vinegar to give to the mix some acidity and spiciness. Fifteen minutes and voilà! A beautiful mix to add to savory and sweet dishes. 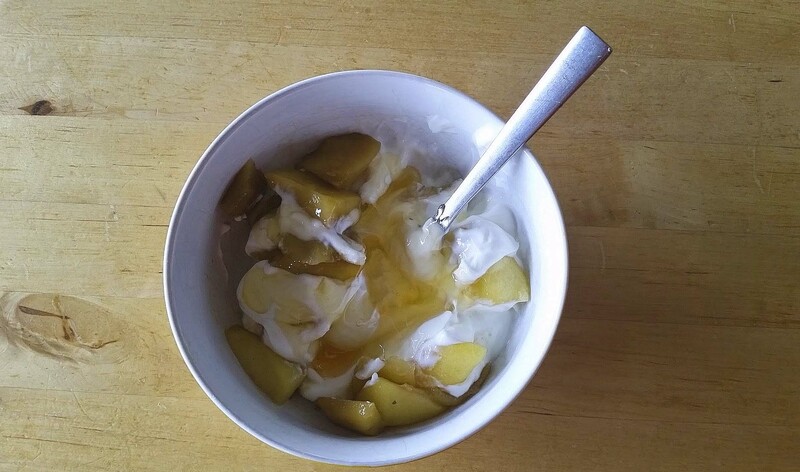 I mixed mine with Greek yogurt and honey for an after workout snack. Enjoy it!